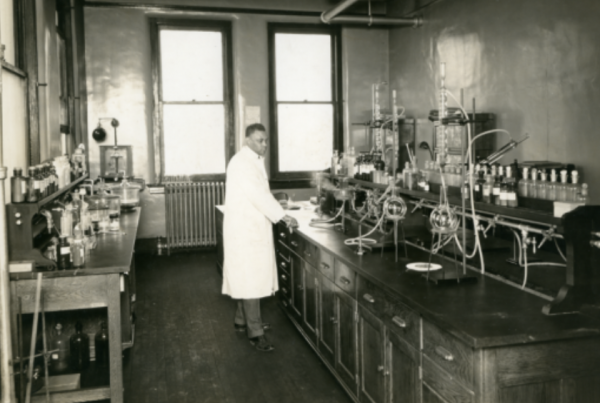 St. Elmo Brady was the first African-American to get a Ph.D in Chemistry and he earned it at the University of Illinois, all the way back in 1916. Plus, Ike Holter joins us from the Goodman Theatre to talk about his new play, 'Lottery Day,' set in a fictional, quickly gentrifying Chicago neighborhood. And, Illinois got the sixth most robocalls in the nation last year with about 1.8 billion. The problem isn’t going away anytime soon, so we’ll bring you some tips on how to handle them. In 1912, a grad student named St. Elmo Brady moved to Champaign-Urbana from the South. He was on a scholarship offered to him by the University of Illinois. Four years later, he became the first African-American to get a doctorate in Chemistry. And for decades after that, he helped mentor and support countless students especially, at historically black colleges. The U of I officially honored St. Elmo Brady’s life back in February. "That story for me of St. Elmo Brady is a testament that we are supposed to be here at the Department of Chemistry. We’re supposed to succeed and give back to our communities, like St. Elmo Brady did." Ike Holter is the award-winning playwright based in Chicago. You may remember a conversation we had earlier this year about one of his works, Hit the Wall, a play about the Stonewall Uprisings that was staged in Urbana this January. Now, he’s back with a new play at the Goodman Theatre in Chicago called Lottery Day it’s on until April 28. The play is the conclusion to his seven-part “Rightlynd Saga” which is centered on the fictitious 51st ward in Chicago. It brings back some of the characters from previous plays that dealt the historic closings of many Chicago Public Schools. This play is set around a barbecue in the 51st ward. Lottery Day is the 7th play in Holter's Rightlynd Saga. Rightlynd is the "51st Ward" in Chicago. More than just a nuisance, robocalls can be dangerous for particularly vulnerable consumers. A study conducted by the telecom services firm YourMail found that consumers were hit with almost 50 billion automated calls in 2018. And Illinois had the sixth most robocalls in the nation, with 1.8 billion calls. If you’re one of those billions, it can feel like there’s very little you can do to stop them.